👩‍🎨What a Treat!👩‍🎨 | Madame Fairley's French Class! What a treat! Brenna and Robin came in at lunch to share a book full of fantastic sketches. 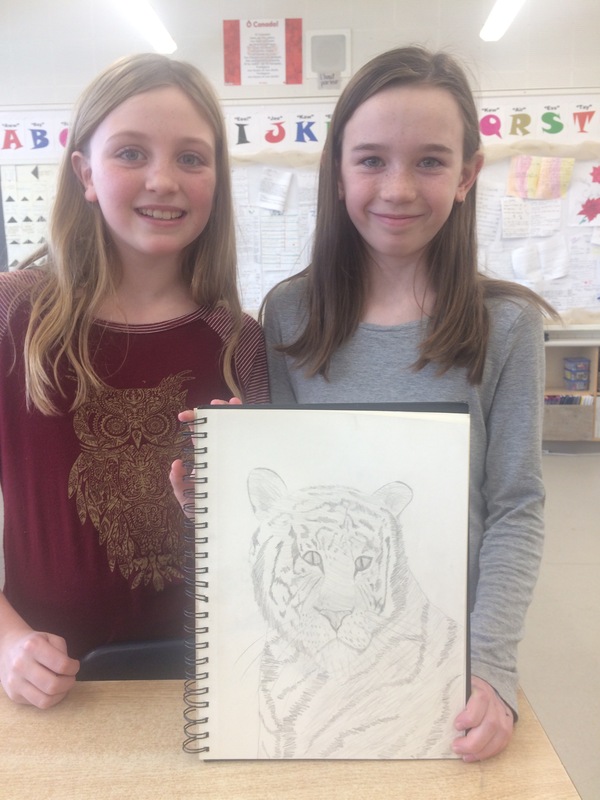 Here is a photo of a beautiful tiger that Robin is working on. Brenna is drawing everyday too! Well done and thank you for sharing! Lakewood students have so much talent!